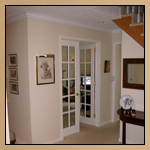 This before photo shows an art niche that was even painted the same color as the wall. 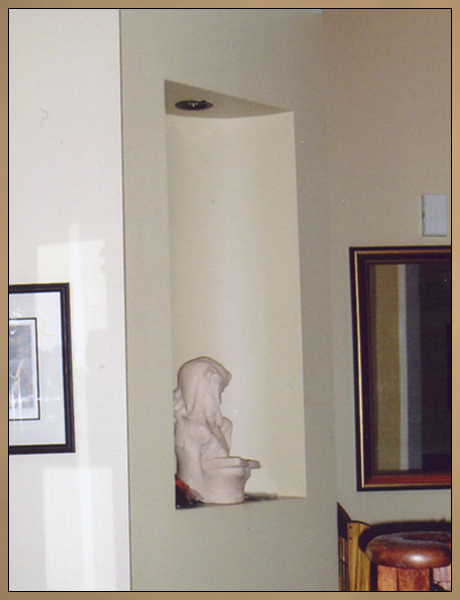 It was just a bland and unnoticeable cove cut into the wall rather than the architectural feature it was meant to be. 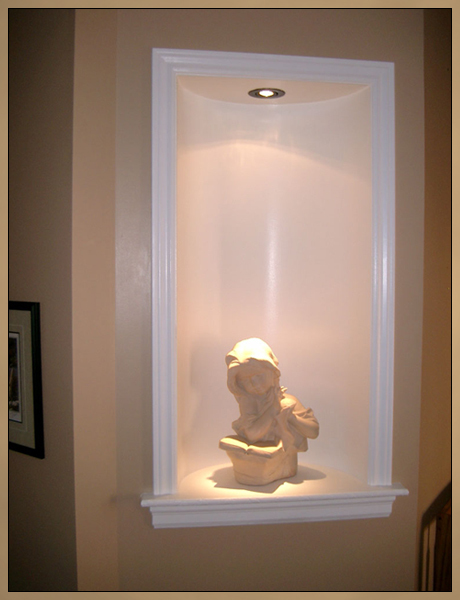 A custom sill plate was custom fit into the niche. 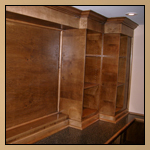 The front edge of the sill extends out just far enough to add some visual impact without being so far that it could cause any snagging of clothing or other objects when passing by it. 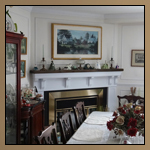 The edge of the sill is rounded with a leaf carved pattern. 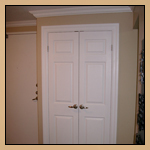 The opening was cased with trim that matches the other door and window casings used. 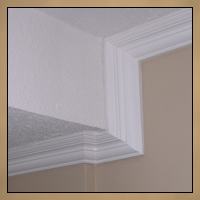 A different profiled piece of moulding was installed below the sill and the entire niche, trim and all was painted white to match the other casing work. 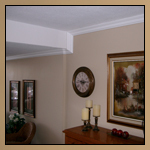 This is now an eye catching focal point for the hallway from all angles. 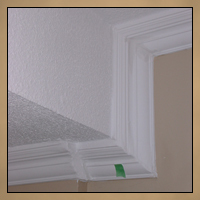 This project also included extensive painting as well as the installation of other custom trim casing and crown moulding throughout the house, located in Courtice, Ontario.